Approved Short Sale! Cute Two Story Townhouse with 3 Bedrooms and 2.5 Bathrooms. The Living Room has Tile, Carpet Flooring and a Gas Fireplace with a Wall Switch Starter. Nice Size Kitchen with Plenty of Cabinets and Tile Counter Tops. Gas Stove, Dishwasher and Garbage Disposal as well as Direct access to the Two Car Garage. This Townhouse has the open space to Cook while enjoying your guest as the Dining Area and Living Room are in front of the Kitchen. Their is a 1/2 Bathroom downstairs and a good sized Approved Short Sale! Cute Two Story Townhouse with 3 Bedrooms and 2.5 Bathrooms. 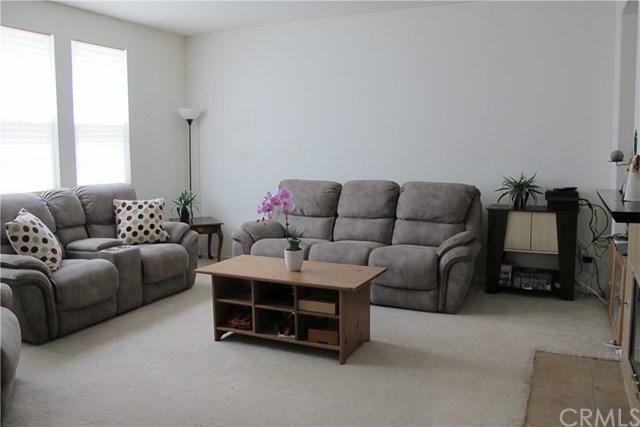 The Living Room has Tile, Carpet Flooring and a Gas Fireplace with a Wall Switch Starter. Nice Size Kitchen with Plenty of Cabinets and Tile Counter Tops. Gas Stove, Dishwasher and Garbage Disposal as well as Direct access to the Two Car Garage. This Townhouse has the open space to Cook while enjoying your guest as the Dining Area and Living Room are in front of the Kitchen. Their is a 1/2 Bathroom downstairs and a good sized Front Patio for BBQ's. All 3 Bedrooms are upstairs, Two Full Size Bathrooms as well. HOA includes, Pool, Play Area, Spa, and Picnic area. Only minutes away from the 15 FWY and the Lake!